The new Tucson Chronicles is a publication of the Entertainment Magazine that features historical and cultural stories from Tucson, Arizona's past. Tucson Chronicles showcases nostalgic articles, history, culture and entertainment. This first edition of the Tucson Chronicles highlights the new book "Treasures of the Santa Catalina Mountains," by local author Robert E. Zucker, that explores the legends and history of the mountains. Download a PDF of the entire free newspaper or read portions below. Download PDF of this edition: "Tucson Chronicles"
Page 7: Buffalo Bill Cody Strikes It Rich in Oracle. Some of the greatest treasures of the Wild West are hidden in the Santa Catalina Mountains north of Tucson, Arizona. These mountains are shroud- ed in mystery and immersed in rich legends that have been lost in time. The discoveries of stone ruins, early Spanish placer mining sites, a lost mission, and the stories about the mountains only fuel speculation about the riches still left behind. The Iron Door Mine– the most famous legend of the Catalinas– has lured prospectors and treasure hunters for hundreds of years. When natural minerals were ac- tually discovered, prospecting became a business. The daunting mountains may seem quiet now. But there is a lot of forgotten history as well as many legends to uncover. These legends and the history behind them are explored in this edition of the Tucson Chronicles. The Cañada del Oro – Canyon of Gold – has been a proven source of gold for hundreds of years. It earned its name from the large deposits of gold found along the canyons of the Santa Catalina Mountains. 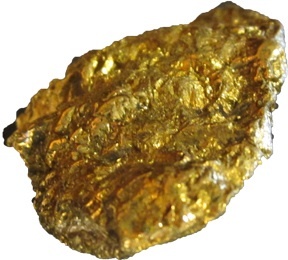 The Tucson Gold Rush of the late 1800s brought pros- pectors by the thousands. Some of Tucson’s most prominent pioneer businessmen and lawmen were well known miners. 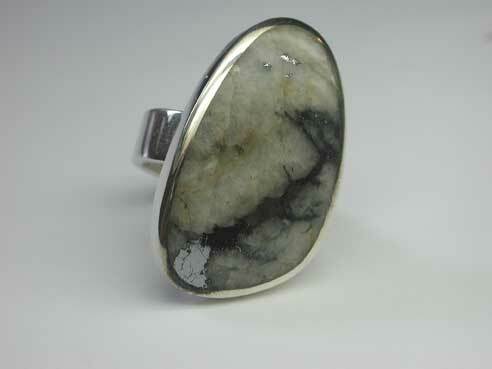 They dug along the famed Can- yon of Gold and discovered naturally forming quartz with veins of gold, copper and silver. Throughout the entire Santa Catalina Mountain range large deposits of precious minerals are still hidden. But, it is the gold that attracts the most attention. at a site in the Cañada del Oro." Prospectors were eager to find those riches and staked out thousands of mining claims around the mountain range. They also learned more about the tales of the Santa Catalinas that became part of Arizona’s early history. Modern prospectors still hunch over the winding creeks hoping to pan some gold nuggets or even just flakes that still flow down the Cañada del Oro. "Treasures of the Santa Catalina Mountains" now available at amazon! The detailed history and legends of the Catalinas is told in a 400-page paperback. Buy "Treasures of the Santa Catalina Mountains" online for a discount at amazon.com, at CreateSpace eStore, or locally in Tucson at the both Summit Hut locations, Mostly Books, Buzz Café, the Oracle Inn Steakhouse and other locations to be announced. Purchase ebook on Amazon.com, Kindle: Treasures of the Santa Catalina Mountains. Two Year Odessey - Found 82 lbs. of Gold! 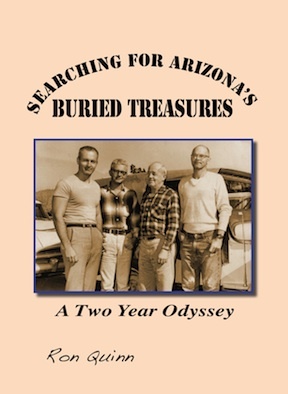 Authored by Mr. Ron Quinn Read sample pages from Ron Quinn's new book, "Searching for Arizona's Buried Treasures." Volume One of a new book on thousands of local entertainers and hundreds of bands whoperformed in Tucson nightclubs and theatres across 50 years. Read sample chapters from Entertaining Tucson Across the Decades. Robert E. Zucker has published several Tucson, Arizona-based tabloid newspapers Youth Alternatives, Youth Awareness Press, Tucson Teen, The Magazine and Entertainment Magazine. Robert also taught at the University of Arizon and Pima Community College Journalism Departments. He is also publisher of EMOL.org- the Entertainment Magazine On Line.